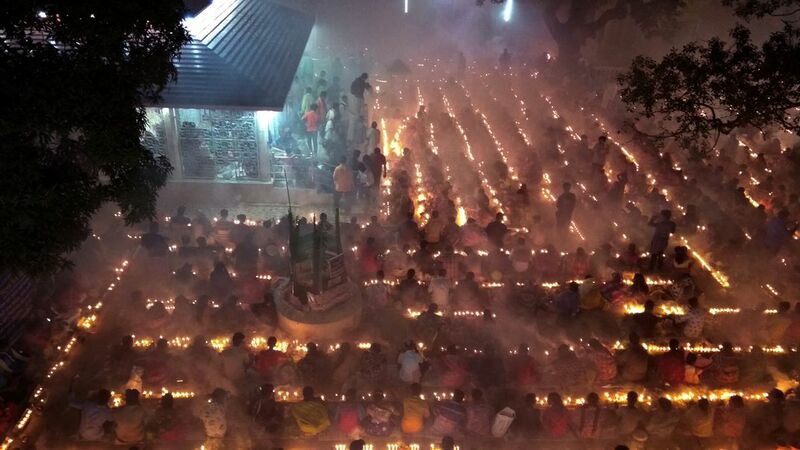 Bangladeshi Hindu devotees sit with candle light pray to God at Shri Shri Lokanath Brahmachari Ashram temple during the religious festival Kartik Brati, also known as Rakher Upobash in Dhaka, Bangladesh. Devotees attend prayer with burning incense and light oil lamps before break fasting during a religious festival called Rakher Upabash. Date Uploaded: Nov. 26, 2018, 2:45 p.m.